1. One 0.2mm soldering iron tip for fine SMD chip pin soldering. 2. 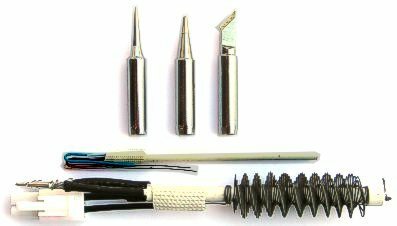 One 0.5mm soldering iron tip for regular soldering backup. 3. One flat knife shape tip for special multi-pin soldering work. 4. One hot air element for all 850,952,952A 110V rework station backup. 5. One soldering iron element for backup.